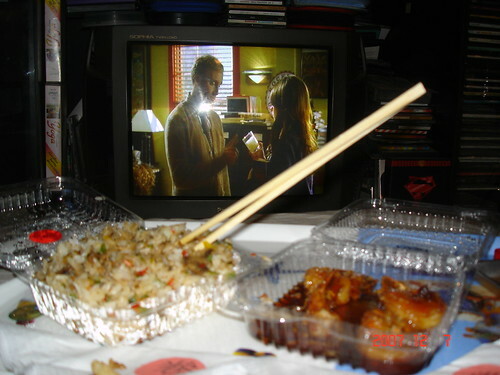 MAKI & Ghost Whisperer, originally uploaded by MissTechnogal. I have placed an order as usual from MAKI "Spicy seafood & Mushroom fried rice"and "Prawn Plum Sauce" while watching my favorite TV showtime "Ghost whisperer". Ghost whisperer is one of my favorite TV Show Series, I have receives it last week from Amazon. Season 2 is similar to season 1 except that Melinda Gorden have been experiencing unusual ghosts that they can reside in dead human body so people can see them and talk to them. However both seasons 1 and 2 are cool and worth watching.